Bislig City in Mindanao is one of the centers of cultural heritage in the Philippines. It is known to be a rising center for agricultural products as well as marine produce as claimed by the Bislig city government official website. 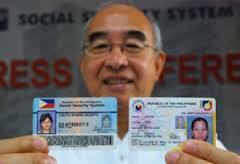 For the people in the amazingly wonderful rising city in the Mindanao region, the Social Security System is a must to inquire and understand. If you happen to go look for information from contribution table to membership status and benefits like maternity, salary loan, ID application, contribution and other requests and concerns, please head the address specified below. You may also call SSS Bislig hotline telephone numbers first to ask for direction on how to get there or see our official map taken from Google Maps for a guidance if you are nowhere near the city. This entry was posted in Branches and tagged bislig city branch, hotline telephone numbers, location address, office address, online inquiry, sss benefits, sss mindanao. Bookmark the permalink. how much my debt of sss loan?